the initial stages after the disaster has taken place. extensive damage to property and services infrastructure. 60,000 residents were left without power. 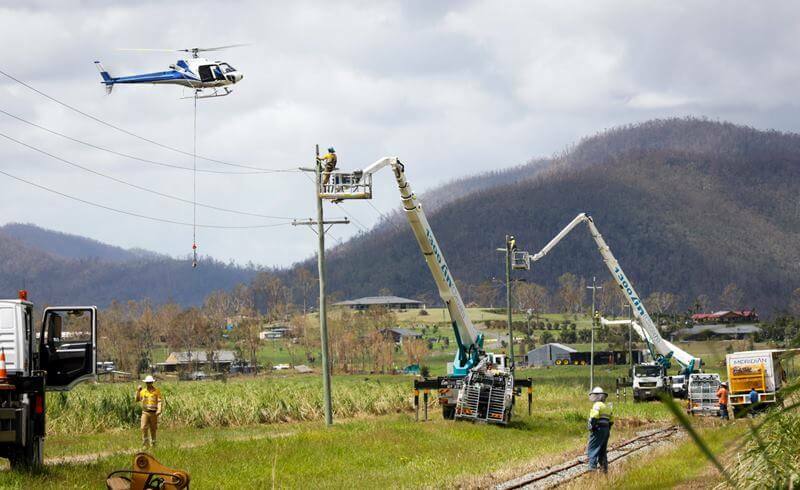 stringing works to return power to the communities affected.